Serve cocktails in style with this Cambria bar glass from Artland. Made from a simple glass material, this glass is designed to look great after many uses. 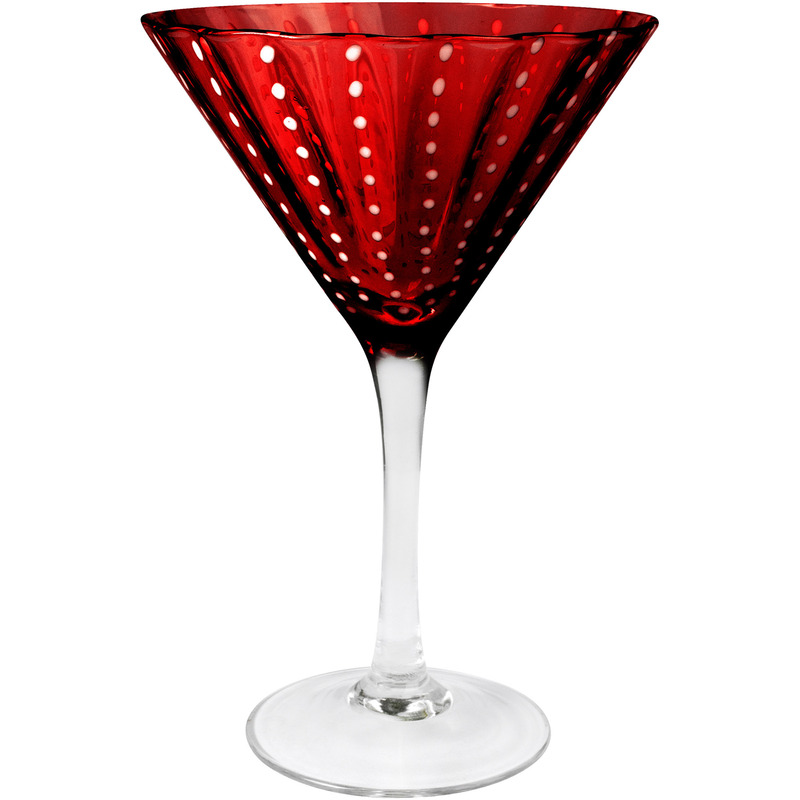 The cup portion of the glass features a white dotted line design on a ruby red background. It also features a traditional martini shaped design with a clear stem and foot for an easy grip and sturdy placement. Best of all, it is dishwasher safe to make clean up a breeze.